After the people behind Twitter played around with the number of characters allowed for each tweet in September, they have now extended the number of characters from 140 to 280. So now it is easier and faster for everyone to express what they want to say in one go. 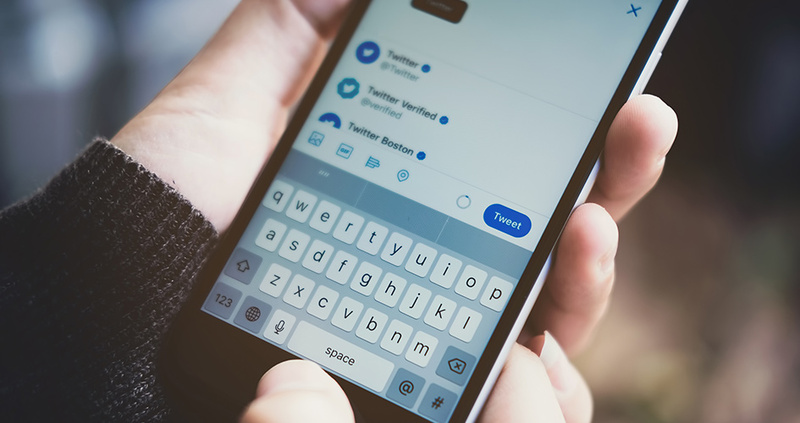 Now nearly all languages have more characters to play around with – Japanese, Korean, and Chinese are the only languages which still have 140-character limit – so this is a new chance for businesses to re-examine their social media marketing plan. With the new year just around the corner, this is the perfect time to take an account of how your previous plan went and what you could do to tweak it in 2018. And with Twitter giving your business more room to spread your marketing legs, the platform is the perfect place to start. While you look forward into the new year, these are a few things you might want to keep in mind when planning your Twitter account strategy. Make it conversational – you might be a business who wants to sell, but Twitter is not that kind of a social platform. Don’t just broadcast a selling point and leave it there, or share a link on your account and expect followers to be inspired to click on it. Rather, mention things they can interact with, something that can spark a conversation. Depending on the business you are in, this will vary. If you are a service provider then you could ask your followers opinion about a certain aspect of your service or if you are selling a product, then perhaps you could take a more personal route and ask them to share their thoughts. Tip: know what your followers want and work your strategy around this. Videos – videos never get old and we are never too old for videos. It is the easiest way to communicate and it is one of the most effective tools to get followers to stop scrolling down and click the play button. You can either upload recorded videos or live stream your videos. Once the live stream is done, it will be shown as a recording. Tip: make it personal, speak to your followers and get them to interact with it. Tweet regularly and retweet – it is an understatement to say that there is a lot of competition out there. If you do not use your Twitter account regularly enough, someone else will move in and take the attention of your followers away from you. To avoid this, keep those tweets going on a daily basis so you can keep up with your followers’ trends and influences. And just as you tweet from your own profile, you should also retweet other tweets in order to link your company’s ideas to leaders in the same industry. Tip: Learn to listen. Before you can retweet you must follow and read other’s tweets. Make this another daily task because the more you know about what is out there in your industry, the more informed you will be and the more input you will have about what is happening on Twitter and how you can improve your strategy.